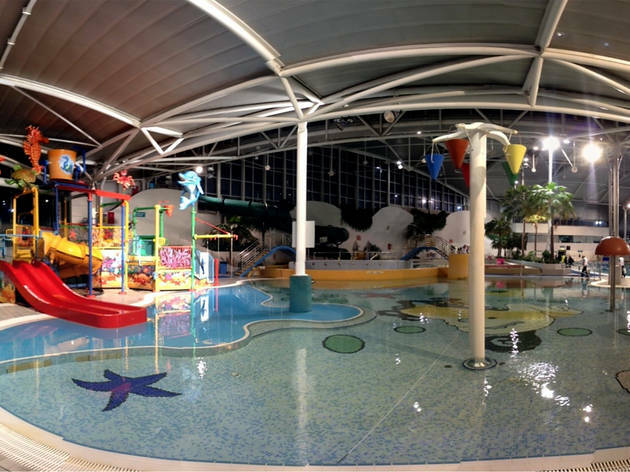 Even if you're not a pro swimmer you can still have a great time at Sydney Olympic Park's Aquatic Centre. Playing on the water playground might look a little strange if you're not under 12, but there isn't a height limit on the water slide so take the plunge anyway. Next, try out the rapid river – this is the opposite of a leisurely river swim and it'll get your blood pumping. The water whips you around in circles surprisingly quickly, get in a workout by trying to fight it or see how fast you can zoom around. These pools are usually full of kids, so don't expect to have it to yourself unless you go in the middle of the week. 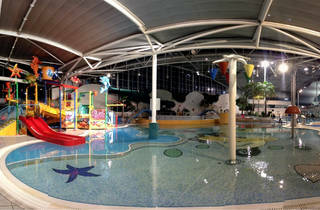 For more serious swimmers, there are three lap pools to choose from. No one expects you to go as fast as Ian Thorpe or Grant Hackett but it's a pretty cool feeling to know you're swimming in the same space as them. If you're more of a gym bunny, work up a sweat at the health club before cooling down in the water. The club has a cardio room, a weight room and offers classes. Plus, there's a sauna if you fancy a child-free pamper session. Splashing around is exhausting, so after all that exercise you'll probably want a snack. Head to Aqua Café for sandwiches, burgers, pasta and ice cream.